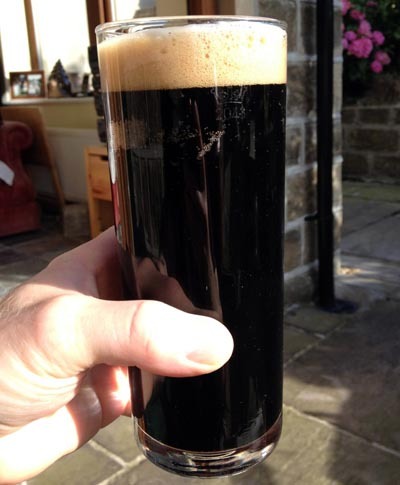 The name for this beer comes from http://en.wikipedia.org/wiki/Army_of_Darkness quite the classic. 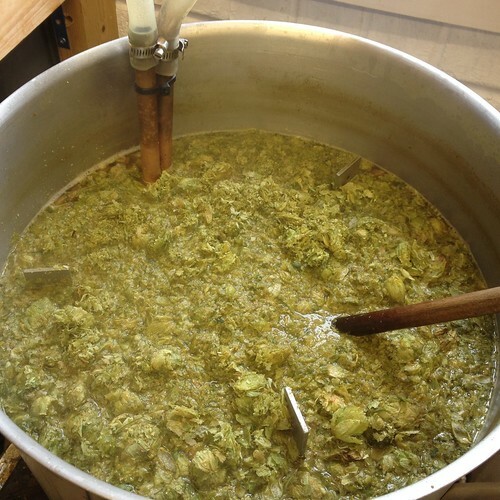 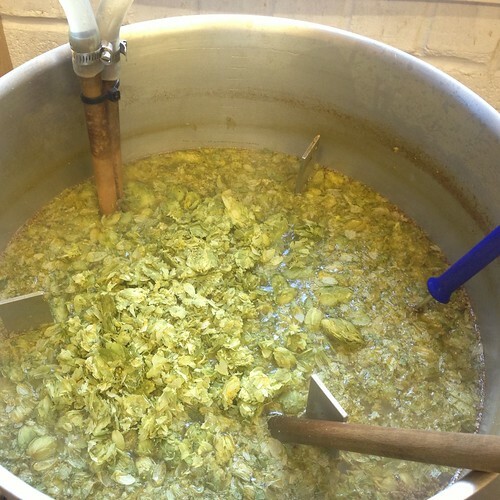 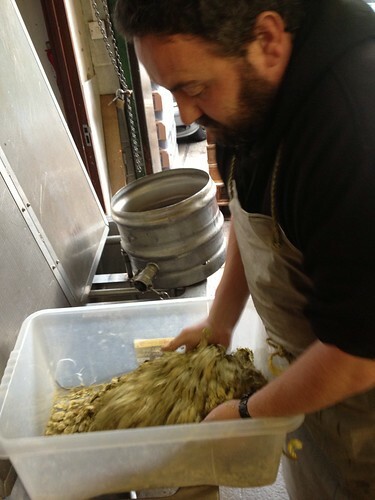 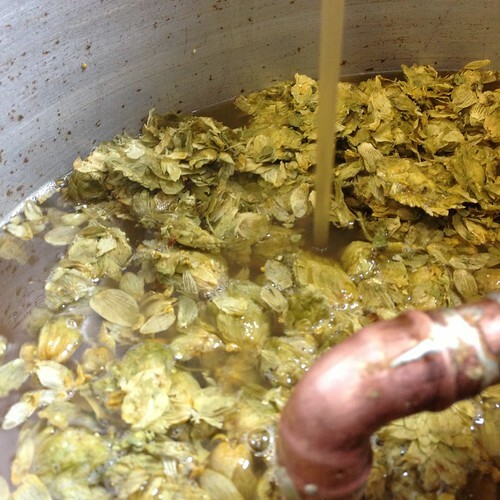 I’m making a big beer, 10% ABV with Amarillo & Delta Hops, I’d like to brew a beer that will evolve and change over a couple of years (hopefully it will last that long!) 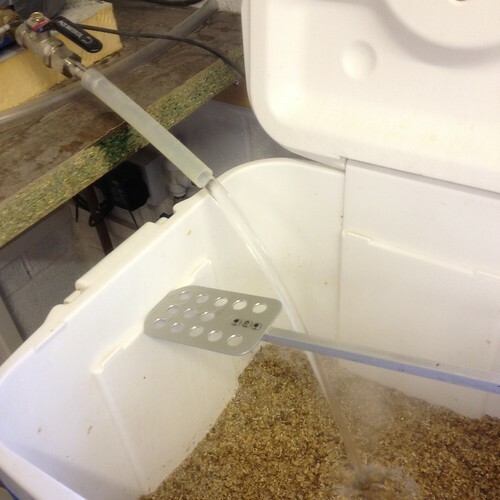 something with at least a hint of what my Imperial Amarillo Wheat had after 18 months. 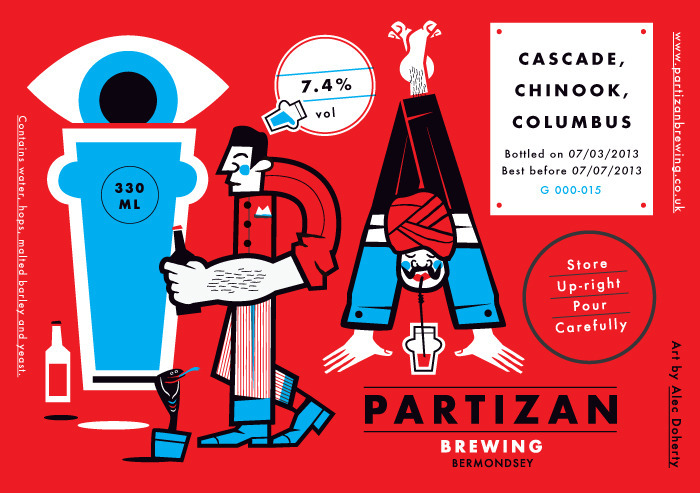 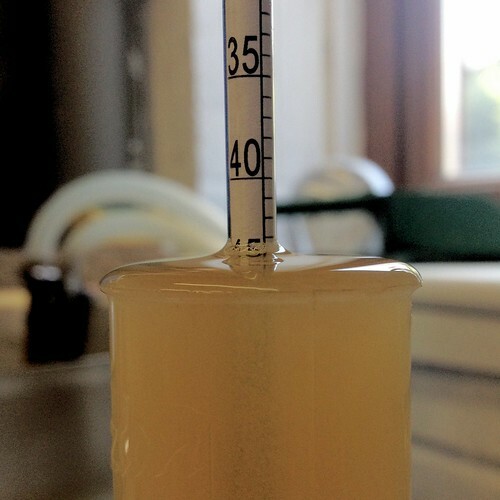 Once I’ve fermented mine with US-05 I’ll be bottling half-ish and then using Brettanomyces Bruxellensis in a secondary fermenter. 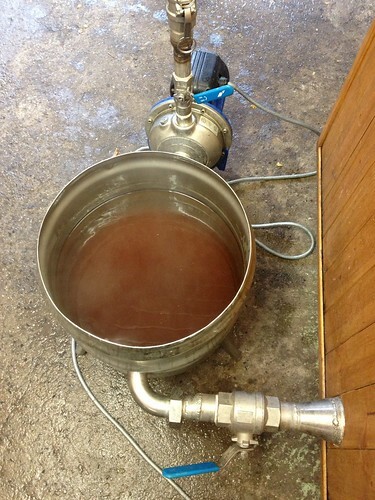 Everything was going sooo well until I got about 10 Litres transferred into the FV when it ground to a halt (Dribble) and I started to try and find a way to make it speed up so cleaned a Solar Pump and pipework and tried pumping it… sadly I just got the same dribble but through a pump, left it to it and came back about 9pm to find about 20 Litres in the FV. 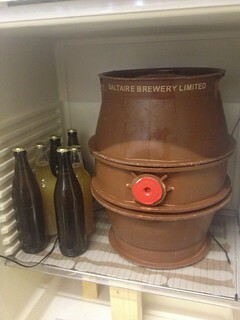 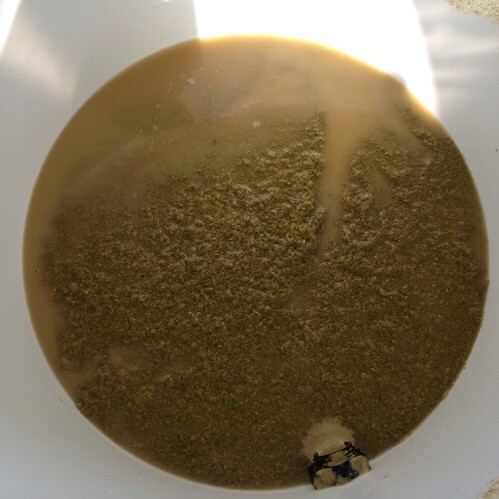 I was over my OG so I liquored back to just over my target and gained an extra couple of litres, there must have still been 4-5 Litres left in the soggy hops in the copper, If it had drained properly I’d got that extra out and would have split the batch into another FV and left the Brett to do a full primary ferment. 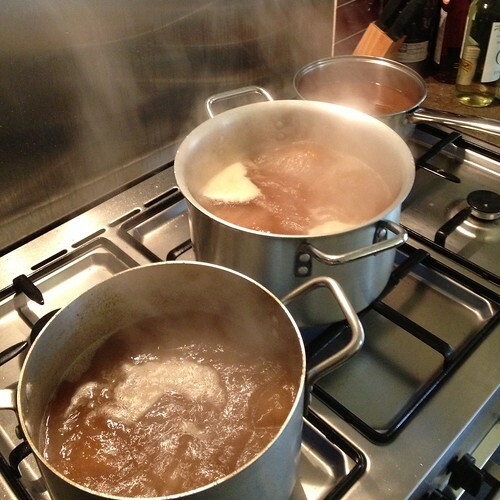 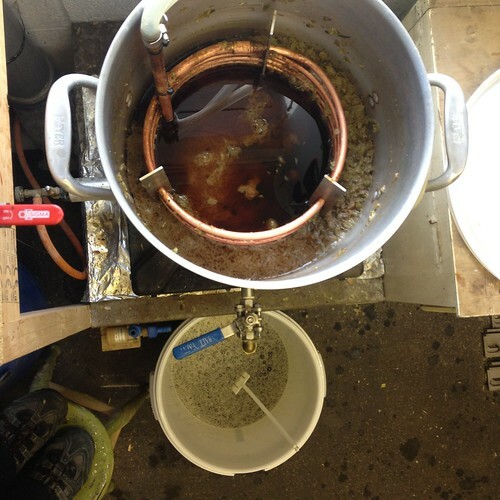 This is how I have done my Barley Wine and Abyss Imperial Stout, Over-sparge by 10 Litres or so and boil it down in a few pans before adding all back to the copper and boiling down until I reach the theoretical pre-boil Volume, then add the 60min bittering hops and so on until the end of a boil. 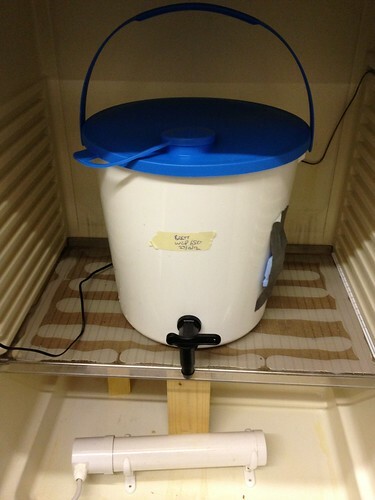 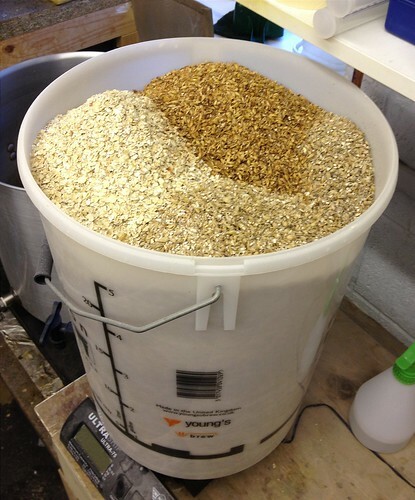 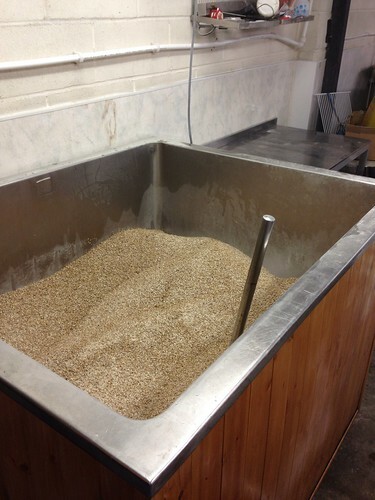 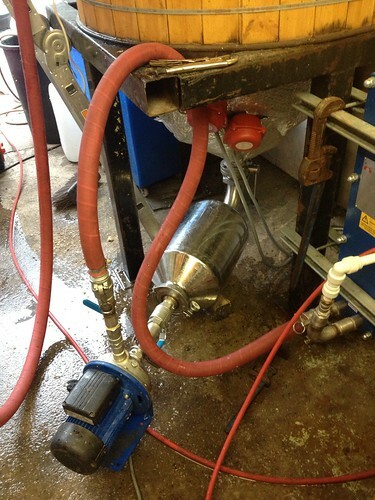 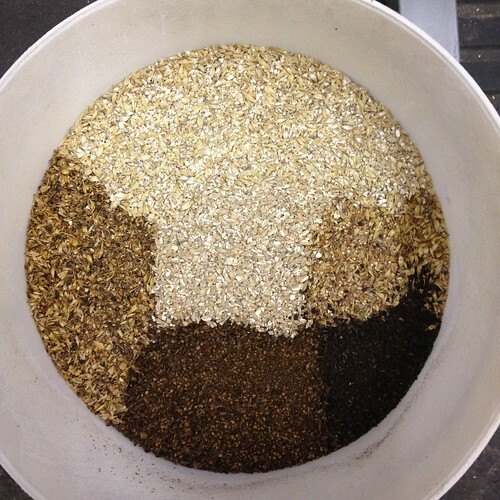 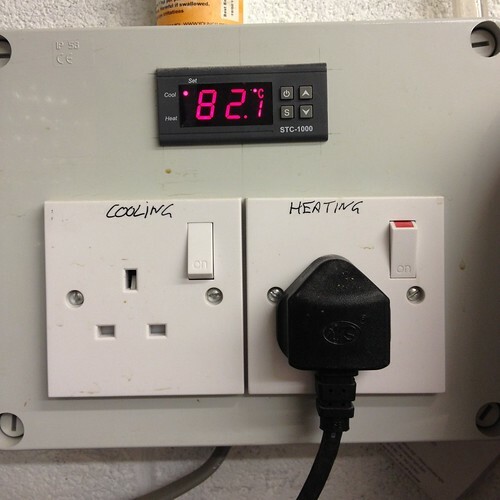 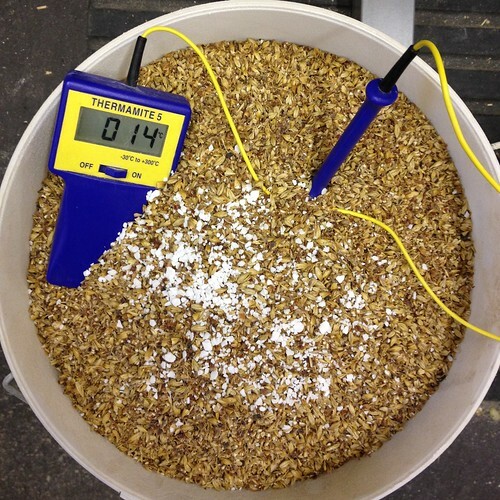 The Mash and Sparges were; Mash with hot liquor at 73°c for 120minutes (65c Mash); recirculate entire mash via solar pump for approx 20mins; drain Mash completely avoiding malt particles at the end; Sparge with 13.4L Hot Liquor at 78°c recirculate and Run-off; Boil down in pans; Second 10L Sparge Recirculated and Run off with a further boiling down. 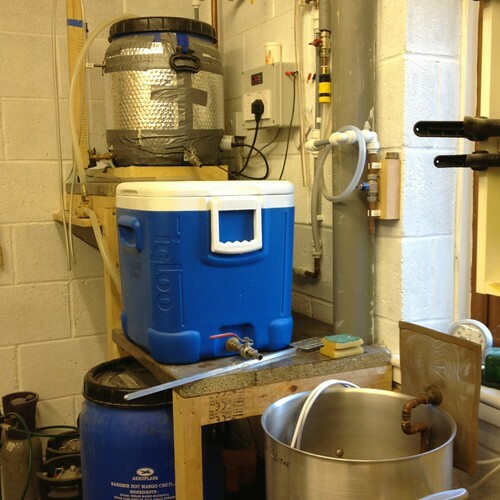 As I was saying above I was actually finishing the boil with a good few litres more in the copper and was hoping for extra in the FV… oh well! 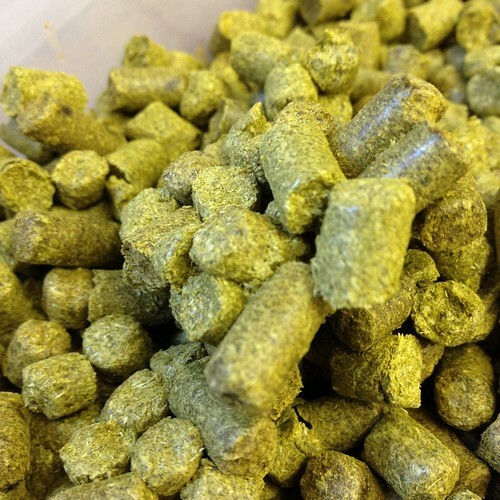 I may have to look at improving my Mesh Hop-Stopper for brewing these bigger beers that include some Pellet Hops. 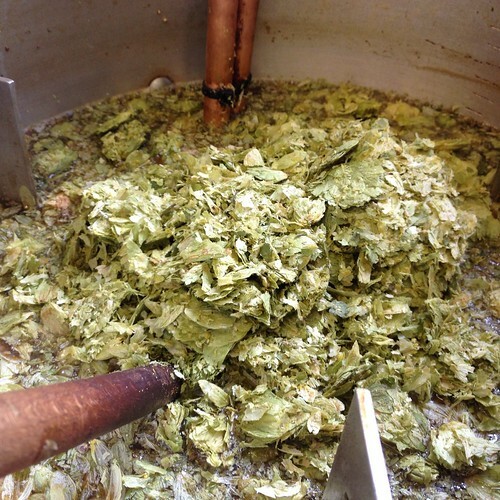 I decided not to go down the Amarillo whole hop route as they would soak up too much beer and I’ll be splitting some of the beer off into a Demijohn or small FV bucket to Brett so don’t want to loose too much volume. 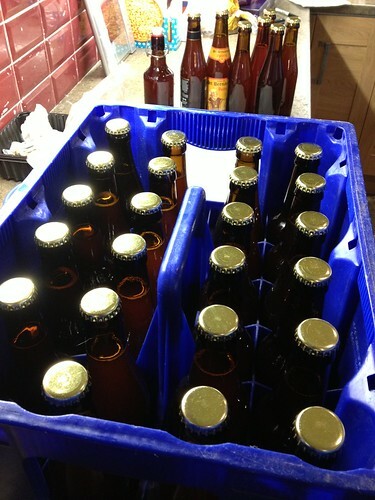 *Bottled 20th Jan ’13 – with 65g White Sugar, dropped the lot into a Bottling bucket with primings then bottled half-ish in 330ml bottles then put the rest in an Oxfam bucket and pitched the Brett. 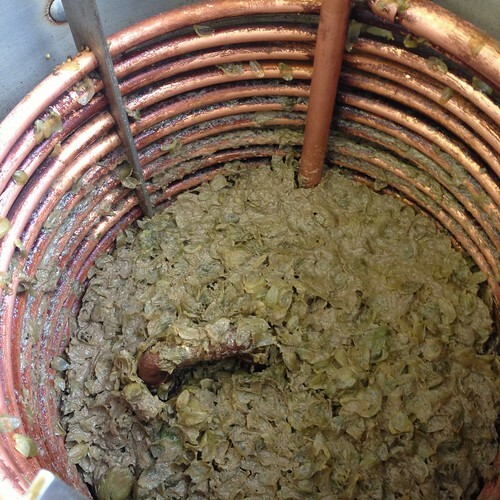 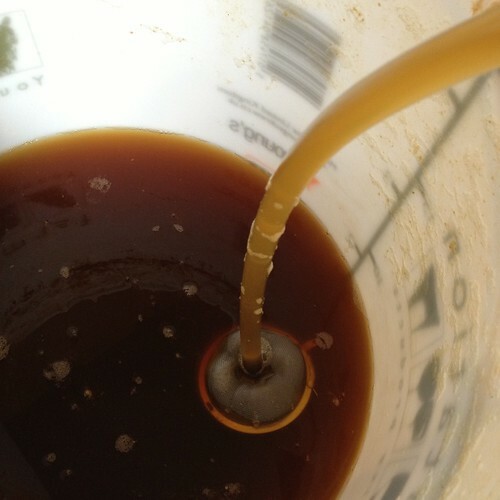 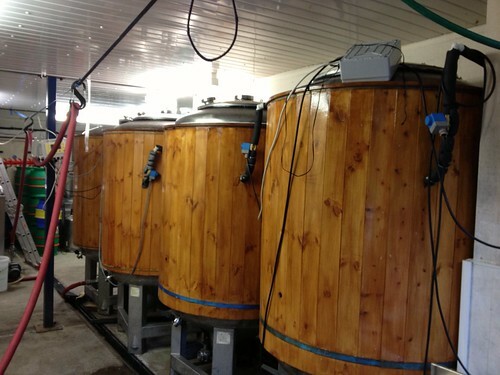 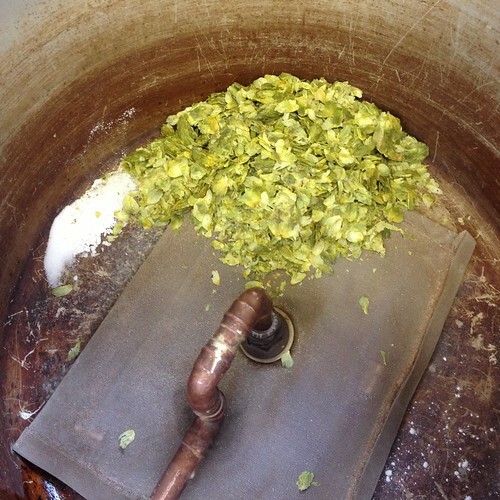 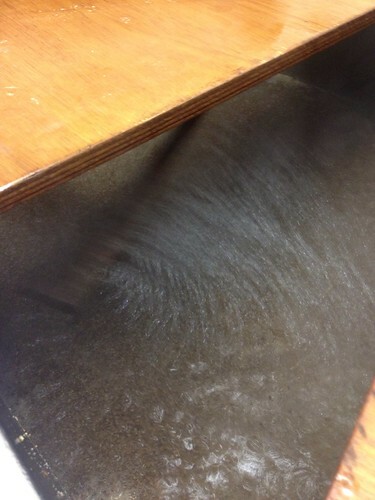 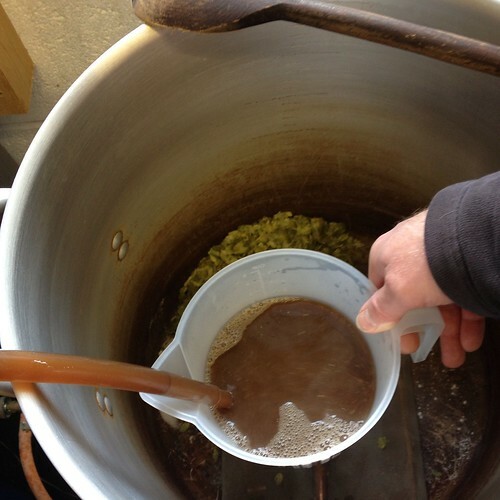 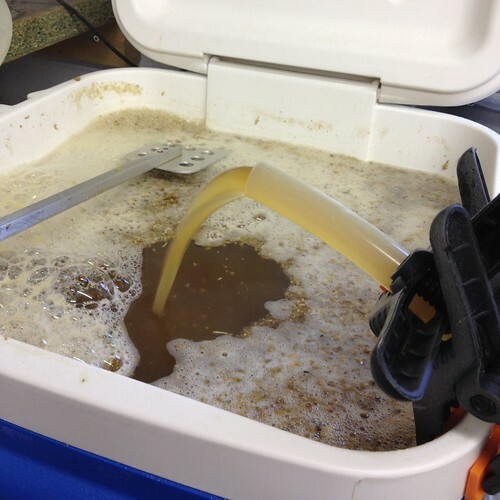 *2nd Feb ’13 – Brett’d beer has dropped 2 points to 1017 from 1019, very slight speckled surface, think it needs more brett! 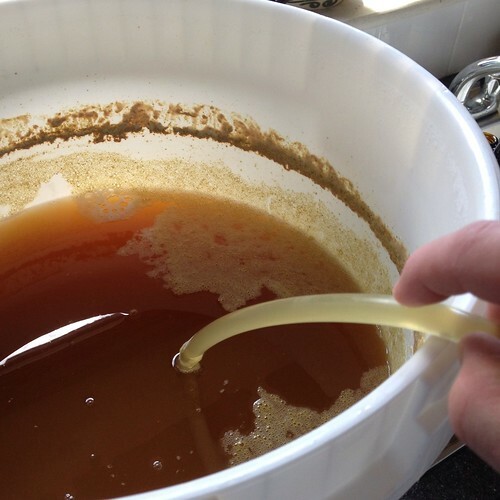 Tastes just slightly different to what I’d expect from un-brett’d. 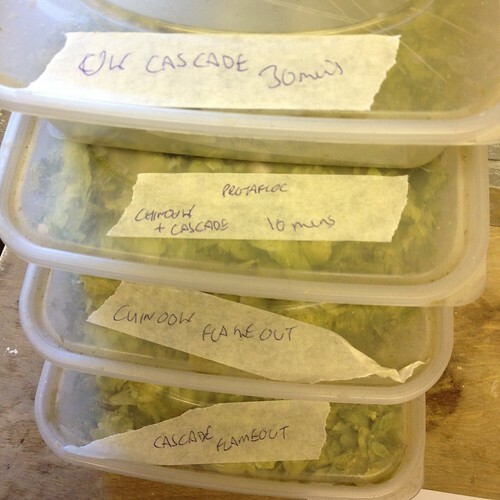 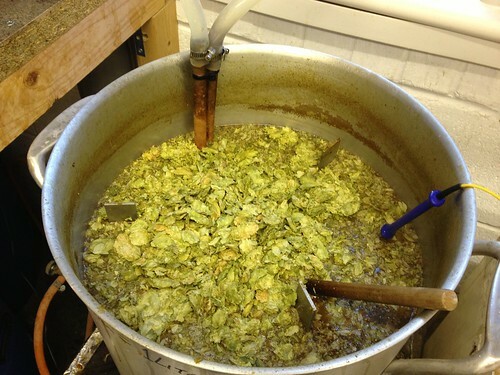 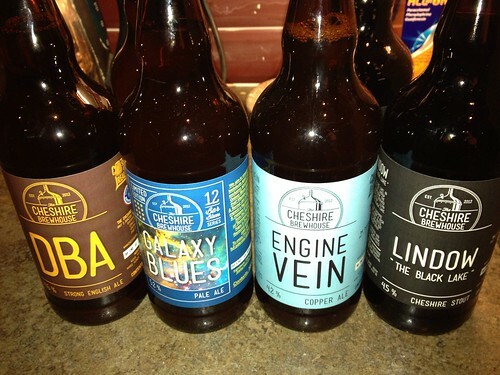 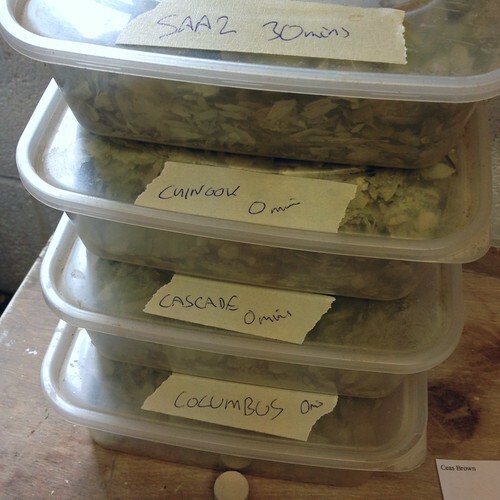 *2nd Feb ’13 – Had a taster bottle with Dave last night, has loads of residual sweetness which I hope will diminish as it matures, could have done with maturing in bulk then Dry hopping and bottling some weeks/months later. 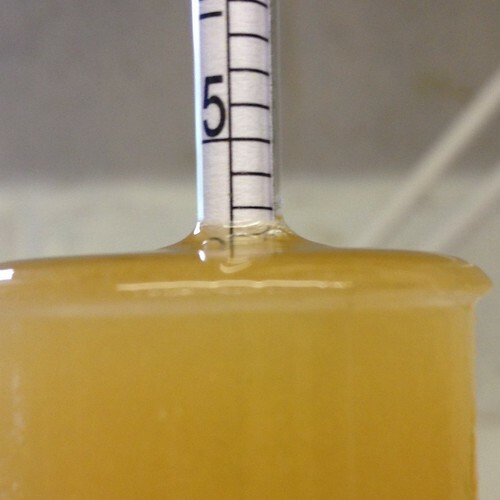 *9th Feb ’13 – Just added a fresh tube of Whitelabs WLP650 as I was expecting more to be happening and wondering if the OG / Alcohol content is screwing the Brett Brux over. 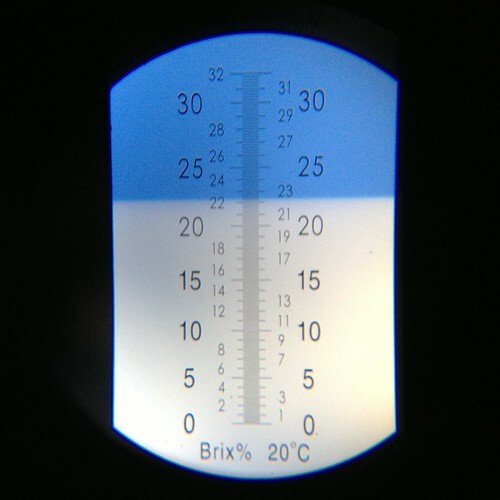 *25th Feb ’13 – Gravity @ 1017 which hasn’t budged in the last 23 days! 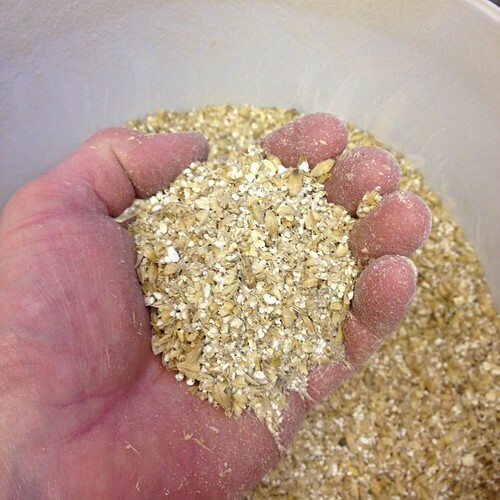 Tastes just on the edge of bretty-sour but very subtle. 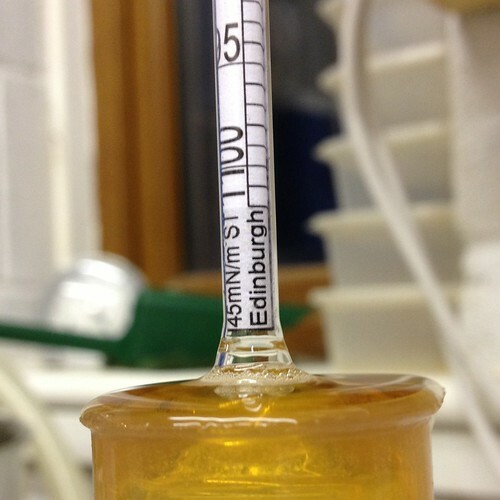 I’m fairly sure the High Alcohol has killed the Brett. 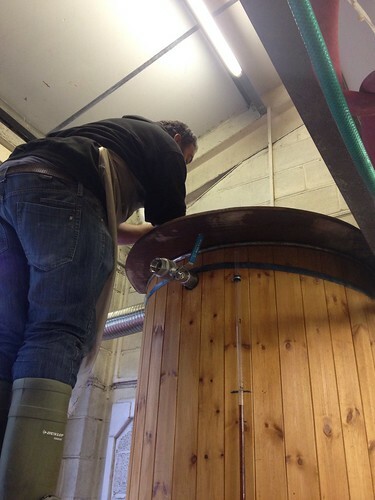 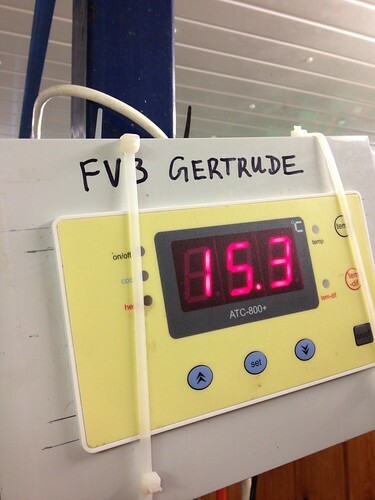 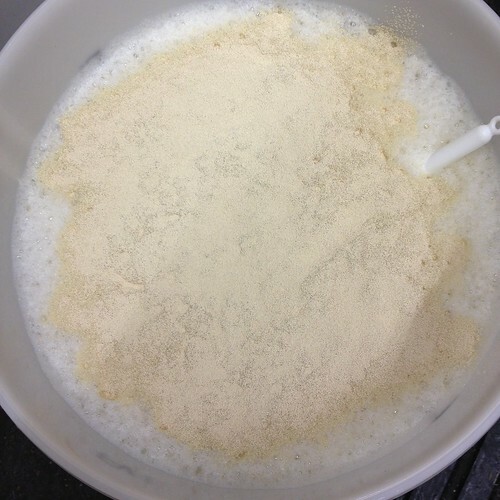 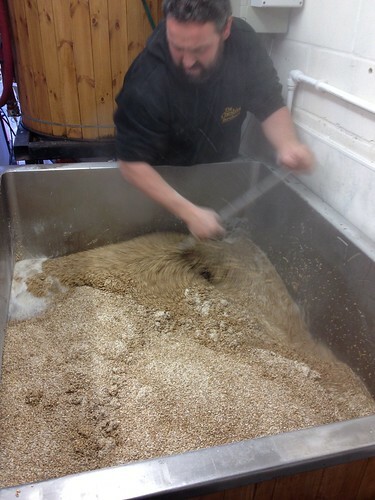 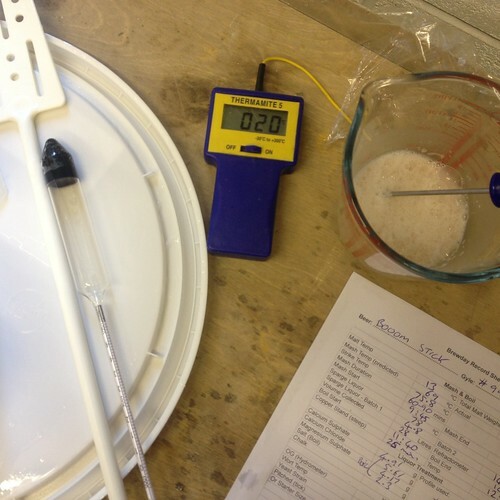 *31st Mar ’13 – Gravity @ 1015 so its creeping slowly and is now showing a more Bretty sour, it could be some time before this is finished!